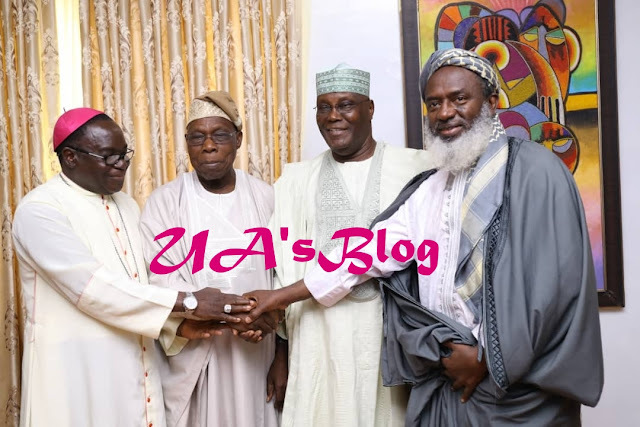 Outspoken clerics, Bishop Mattew Kukah and Sheikh Ahmed Gumi, have arrived the residence of former president, Olusegun Obasanjo, in Abeokuta, the Ogun state capital. Also present is the leader of apex Yoruba group, Pa Ayo Adebanjo. They arrived the premises of the former president around 2:00pm. 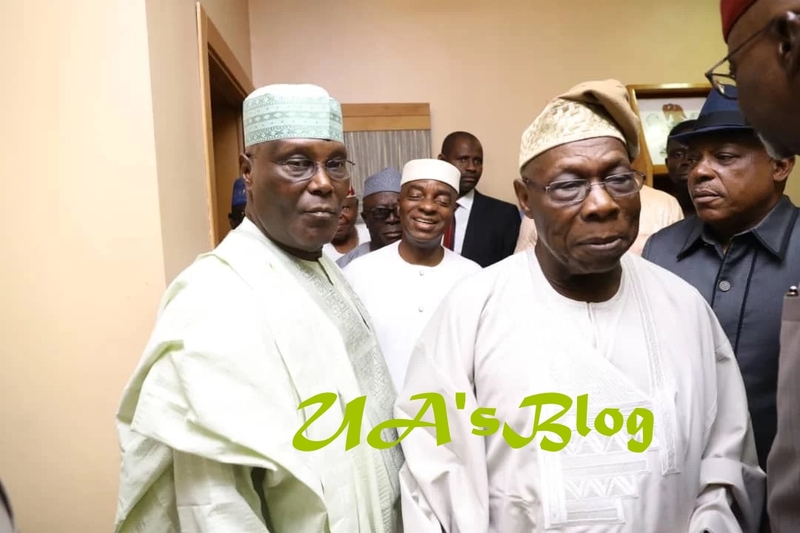 Obasanjo is meeting with former vice, Atiku Abubakar, the PDP presidential candidate. 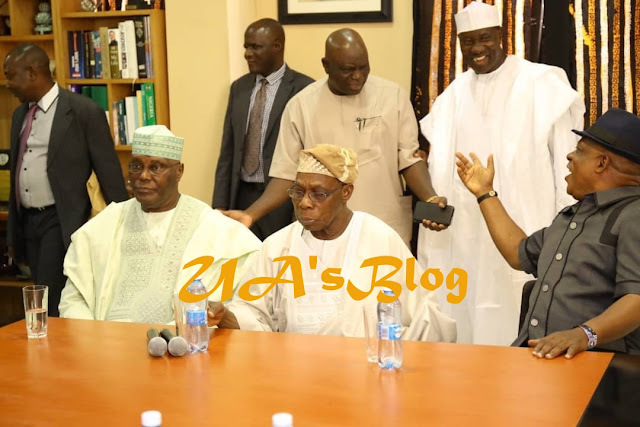 Ujuayalogu'sBlog reports that the meeting is being held at the Olusegun Obasanjo Presidential Library (OOPL), Abeokuta. 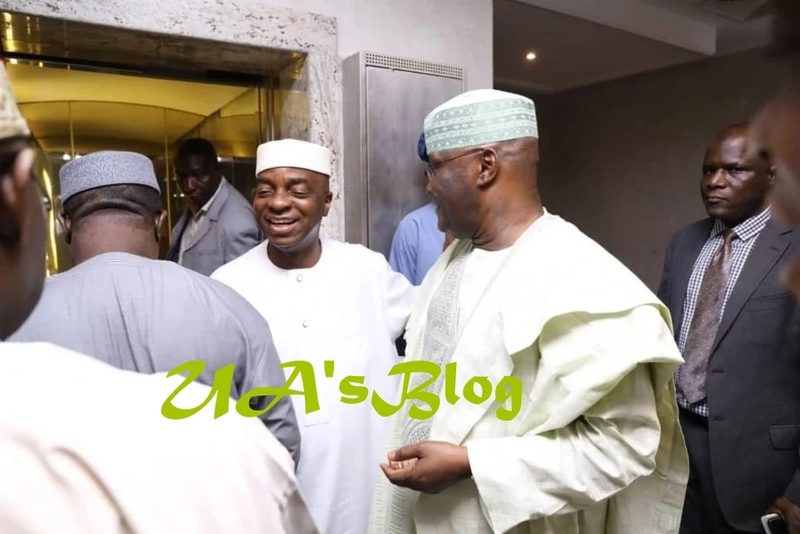 Atiku arrived his former boss’ premises at about 1:05pm. The former VP was accompanied by his campaign Director-General and former Ogun State Governor, Otunba Gbenga Daniel, PDP National Chairman, Prince Uche Secondus, ex PDP deputy national chairman, Bode George, Senator Murray Ben-Bruce, ex Cross River Governor, Liyel Imoke, ex Minister Osita Chidoka, among others.